Article by The Local es, link. In a remote corner of eastern Spain the cultivation of pungent ‘black diamonds’ is transforming a rural economy and making the region the truffle capital of the world. The dogs weave amongst the trees, their noses moving back and forth across the arid barren ground until they catch a whiff and excitedly start to paw the loose stone earth. Their human companion stoops to his knees and using a dagger-shaped trowel carefully dislodges what appears to be a gnarled black nugget not much larger than a walnut. He lifts it to his nose and inhales its pungent earthy smell. 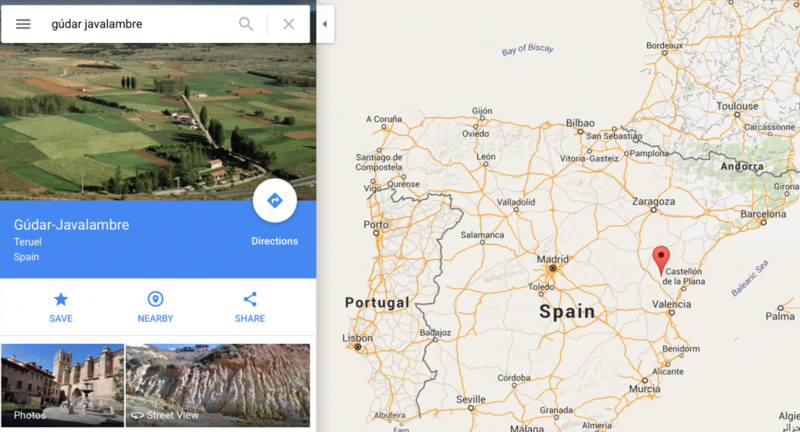 We are in the arid landscape of Gúdar Javalambre, one of the lesser known parts of Spain’s interior situated between the mountains of Teruel and the Valencian coast, and a region that has, remarkably, become the capital of the global truffle industry. Since the 1980s swathes of hillsides in one of Europe’s most sparsely populated regions – just 9,000 inhabitants live in some 24 towns and villages in the county – have been given over to plantations of holm oak trees, a species ideal to the cultivation of “black diamonds”, the sought after culinary treasure that is almost worth its weight in gold. Less valuable than the more famous wild white truffle of Italy’s Piedmont, the black truffle (tuber melanosporum) is single-handedly responsible for the regeneration of a region that has suffered from depopulation and a lack of investment. 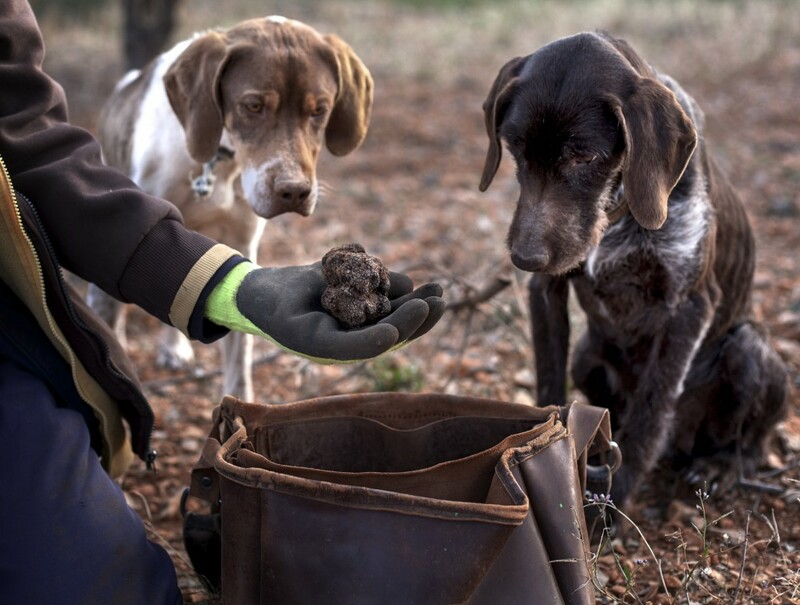 This year an estimated 40 tonnes, representing around 70 percent of the world’s truffles, will come from the Teruel region, where some 6,500 hectares in total are given over to cultivating the product. And he’s right. At the annual truffle convention held in early December, dozens of stall holders have set out their wares and it is impossible to escape the earthy mushroomy aroma of the truffle wafting through the air. From soap to hand cream, from chocolate to honey and from infused sea-salt to liquor, taking in every sort of cheese and embutido on the market, each and every product on sale has the addition of truffle. But that could all be about to change if truffle producers have their way. “Our aim is to do more to promote truffles within Spain, to spread the word about the different ways to use truffles and of course to promote it abroad as a Spanish brand,” explained José Manuel Martínez Matías from Atruter, the association that represents the area’s truffle growers. And there are calls to make the market more regulated. At present truffles are sold to dealers at a bizarre gathering in the local railway station carpark held in the dark every Saturday night of the November to March season. The dealers, who have often driven all the way France, furtively examine the wares on offer by torchlight in the back of the car before making an offer based on quality and size. 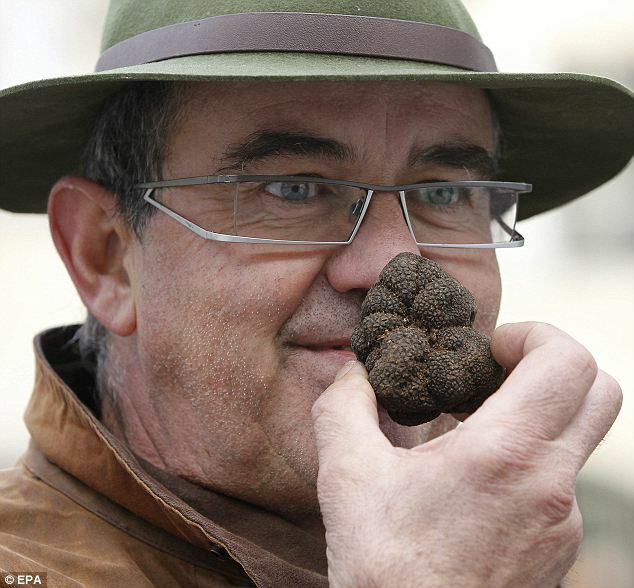 The price tag for the truffle is currently high as both France and Italy are suffering a bad season. For Rafael Doñate, one of four brothers who run one of Sarrión’s most successful truffle cultivation companies, it is essential to build the Teruel brand so that the truffles grown here get the recognition they deserve.